and her work with teens? 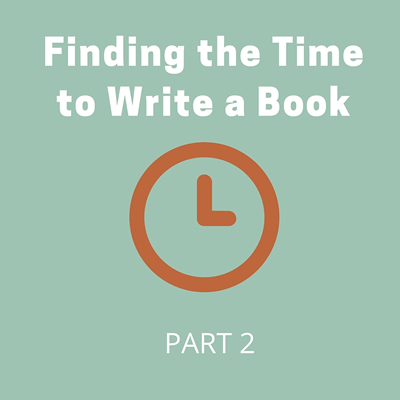 In Part 1 of this post, I covered the issue of identifying your best time for writing, as well as figuring out how long your writing sessions should be in order to produce your best stuff as you write a book. In this post I want to take the issue of writing and time a step further by looking at the benefits of scheduling your writing. Exactly how you do this will depend on what you’ve learned regarding your best writing time of day and length of writing session. For example, if you are someone who needs at least 3 hours of uninterrupted time to get even a few words down on paper, that’s totally fine. AND it means that you’ll want to create the time and space in your schedule to allow for this block of time to actually happen. Maybe that means writing only on weekends when you can slip away to a coffee shop for a few hours. Or maybe that means you skip a few nights of Netflix each week and write after dinner once the kids have gone to bed. If you’re a short spurter like me and can crank out a decent amount of content in bursts of twenty or thirty minutes, you’ll want to make sure your writing takes priority enough that at least a few of your short work windows each week (if not each day) are dedicated solely to your writing. When I was writing my book for young women, In Their Shoes, I interviewed many brilliant women, including screenwriter Susannah Grant who wrote the screenplay for Erin Brockovich. I’ll never forget her response when I asked her what it takes to be a screenwriter. Replace “screenwriters” with “authors” and I think you know where I’m going with this. We ALL have the capability to write our book. And of course it takes time. Anything worth doing does. To be someone who actually completes writing a book, it really just takes putting in the time, whether that’s five minutes or four hours a day, and writing, word by word, sentence by sentence, page by page. Devote yourself to the writing process, and I guarantee you’ll have eventually have a completed manuscript as the fruit of your labor. Don’t be too ambitious in the beginning when scheduling your writing time. You’re looking to create new positive, productive writing habits—being successful in these early stages will keep you moving forward. So how about you? Do you have a plan for when you’ll tackle your writing to ensure you move forward on your book? To schedule your writing sessions for the next week, month, and beyond, download my interactive WEEKLY WRITING SCHEDULER. In my next post, I’ll cover ACCOUNTABILITY; specifically how to build it into your writing process to keep you on track. I've helped dozens of writers realize their dream of traditionally publishing their book. I can help you, too. I'd like to start by sending you this free PDF: THE PUBLISHING X FACTOR: 9 Things You Must Do If You Hope to Traditionally Publish Your Book.